The Semiahmoo Spit in Northwest Washington is about as close as you can get to Canada without being in Canada. It’s also a a fantastic place for winter bird watching and photography. Here are some of my recent photos of winter birds at Semiahmoo Spit. Black Oystercatchers are one of my favorite birds. I specifically went out looking for them during my recent Semiahmoo visit. On the first day I didn’t find any but on the morning I was heading home I was happy to find several Oystercatchers on the beach at Drayton Harbor. It’s hard to photograph these birds because of their all-black bodies but the contrast with their red beak and yellow eyes is wonderful. 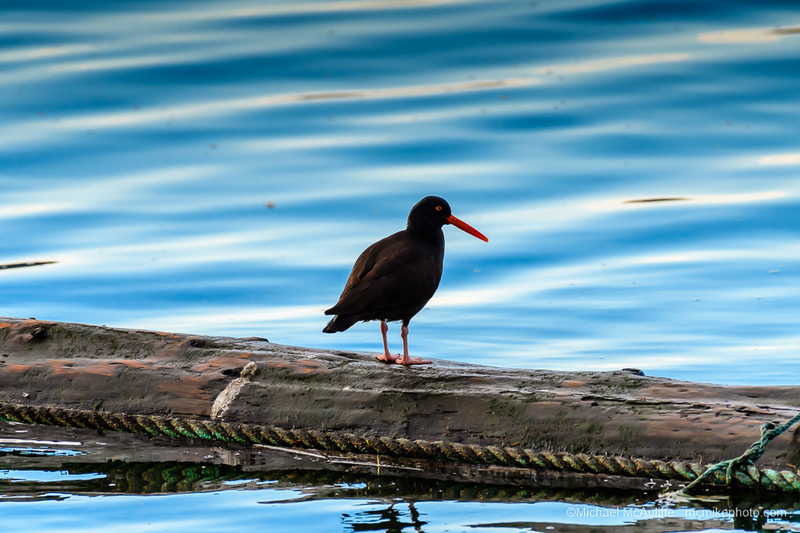 The Oystercatcher in the photo above was hanging out on a log in the Semiahmoo Marina. Surf Scoters are another one of my favorite birds. There were many of these, as well as White-winged Scoters, in Drayton Harbor on the east side of the Semiahmoo spit. 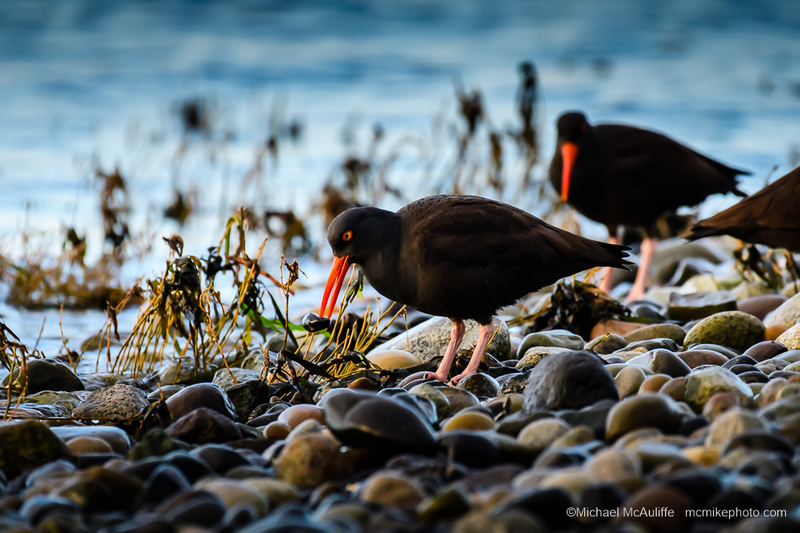 Like Black Oystercatchers, these birds are also hard to photograph because of their all-black bodies. 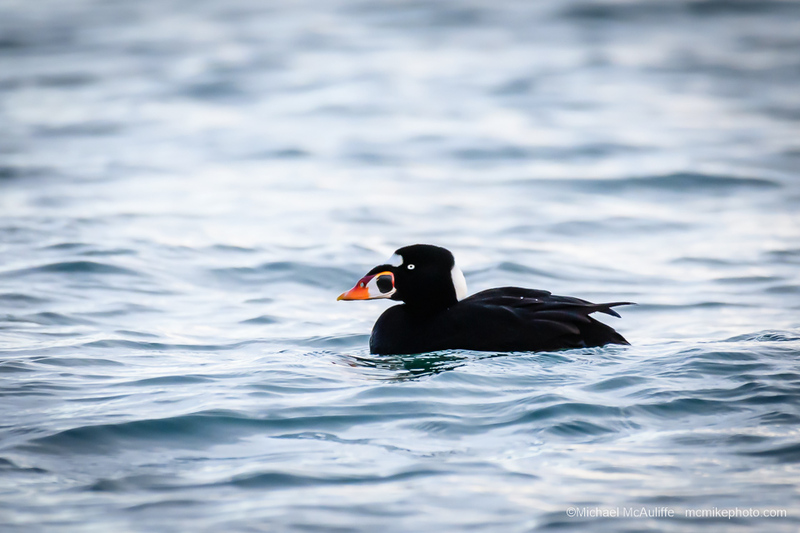 However, the black bodies of male Surf Scoters contrast wonderfully with their orange beaks and the white panel on the back of the head. 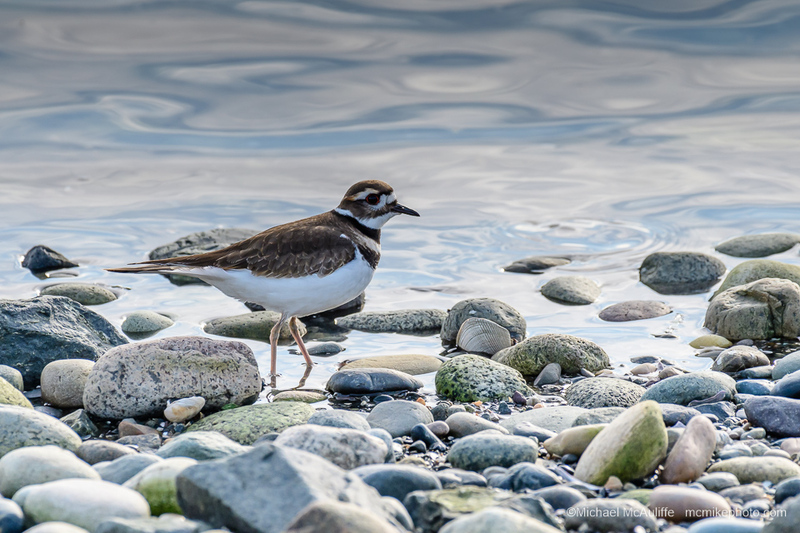 There were also a few Kildeer running around on the beach. My next post will include photos of my favorite duck–the Long-tailed Duck. These ducks can be hard to find but are often found at Semiahmoo, unfortunately normally quite a ways out in the water. This entry was posted in Birds, Black Oystercatcher, Semiahmoo, Surf Scoter and tagged Bird Photography, Bird Photos, Birdwatching, Black Oystercatcher, Kildeer, Semiahmoo, Semiahmoo Spit, Surf Scoter.